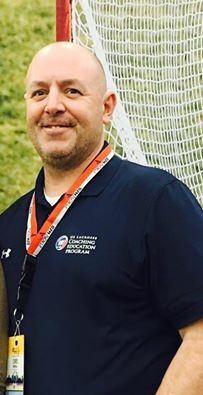 Former volunteer USL Washington Board member (and Coaching Development Program coordinator), South Sound youth league administrator, and coach/founder of the Orting Lacrosse Club passed away after a battle with cancer during the Fall of 2016. Aside from his passion for the game, he focused intently on driving coaching knowledge and increasing skills to help current and prospective coaches become better. The Chapter in an effort to memorialize his efforts is establishing the Chris Hall Memorial Coaching Education Grant Program. This first year we will be focused on providing stipends back to coaches and programs to offset the cost of education either by attendance at the USL National Convention or participation in Level 1 or 2 Coaching Development Program Clinics (CDP) in an effort to grow, educate and certify coaches. Coaches or team administrators please fill out the following application to be considered for a 2018 stipend to help defray the following types of expenses for Coaching Education through this grant opportunity. Stipend to offset the expenses for a Coach to attend the attend the USL Lax Convention. This award is a dollar amount that will held offset the expense of attending. This award will likely range from $150 - $300 per coach/program chosen to receive the Grant. Stipend to offset the expenses for a boys or girls Coach (or Coaches) from a program to attend a Level 1 or 2 Coaching Development Program Clinic to become certified or further their education. This is restricted to the actual registration costs of the CDP Clinic. There are two types of grants available with multiple awards being distributed. Coaches benefiting from this Grant will need to be a current US Lacrosse member - we will check memberships! Coaches/Programs will need to have already pre-paid for Coaches to attend the Convention or Level 1 or 2 Clinics. The Chapter will send a check to the coach/program after the requirements for receipts/expenses have been received and validated. Please fill out the following form completely to the best your capabilities. It's not possible to start and stop this Grant Application, please be prepared to complete it fully before submitting. It's a short form, so it should take less than 5 minutes to complete.